The big show is here on Friday nights at the Downunder Club and Seasons with Maximum Karaoke! Join us on Friday nights as you become the star of the show and hit the stage to belt out your favorite songs. Also enjoy a large dance floor, great hosts, and food & drink specials. 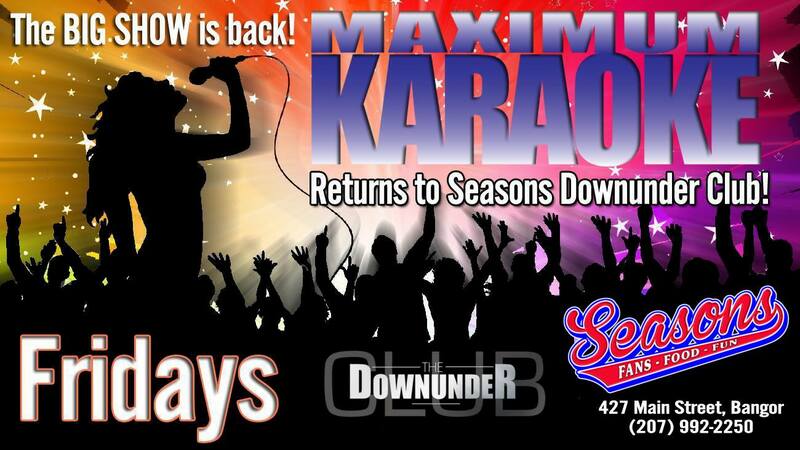 Dingo is back with Maximum Karaoke at Seasons on Friday nights starting at 8:30 p.m.!